On June 11, Paraguay became the first country to be certified malaria-free by the World Health Organization (WHO) in more than 40 years. This is the latest in a series of triumphs for global efforts to combat infectious diseases. In December, the Global Polio Eradication Initiative reported a 99 percent reduction in annual polio cases since 1988. Between 2000 and 2016, the WHO estimates that new HIV infections fell 39 percent and, although still a leading cause of death worldwide, tuberculosis claimed 53 million fewer lives due to better diagnosis and treatment. Such achievements call for celebration! Yet universal health coverage remains a distant goal. Progress is tempered by new challenges, including rising rates of non-communicable diseases (NCDs), the impact of globalization on health security, and a growing shortage of health workers across the globe. Although these challenges affect health outcomes globally, local conditions create unique obstacles and unique opportunities to improve the quality and availability of care. International development projects are most effective when local stakeholders, including health workers, researchers, policy makers, and administrators, help set the agenda and guide the allocation of funds. Such local partners are best equipped to guide the international community on the path to universal health coverage and increased health workforce capacity. International development projects are most effective when local stakeholders, including health workers, researchers, policy makers, and administrators, help set the agenda and guide the allocation of funds. Despite Paraguay’s recent success in the fight to end malaria, the 2017 World Malaria Report found that the total estimated number of malaria cases increased by 5 million in 2016 compared with 2015. A new analysis suggests this increase is due in part to the unequal distribution of research funding. Drug and vaccine development and basic research projects received nearly three-quarters of all research funding from 2014–2016. Research targeting diagnosis techniques, infection control protocols, and vaccine and treatment implementation received a much smaller share. This is concerning because clinically effective treatments may be rendered useless if the disease is not caught in time, if the cost of treatment is prohibitive, or if the local health workforce lacks the capacity or personnel to deliver treatment to those in need. These local partners include university faculty and leadership, the leaders of the centers themselves, and ministry of health officials. Even with all of these parties represented, Blom and his team encounter challenges resulting from, among other things, conflicting priorities at the national and sub-national level. In the health sector, this often means the needs of rural communities are overlooked in a rush to address the health concerns of the populations in the cities where most universities and research centers are based. By engaging multiple constituencies, including trainees, faculty, university leaders, and government officials, organizations like the World Bank are made aware of such disparities, and can work to ensure their programs meet the needs of the many diverse communities within the countries where they work. The ACE project also contends with the legacy of donor-driven programs that have created or exacerbated imbalances in research capacity by failing to consult local leaders regarding emerging areas of concern. For example, none of the centers funded through the ACE project focus on NCDs, despite the fact that NCDs are expected to outpace communicable diseases as the leading cause of death in Africa by the year 2030. The ACE project also contends with the legacy of donor-driven programs that have created or exacerbated imbalances in research capacity by failing to consult local leaders regarding emerging areas of concern. Moving forward, programs like the ACE project will help create a more diverse health science and STEM workforce by creating career pathways for researchers in under-resourced countries and turning to local partners to determine what directions these pathways will take. Health Volunteers Overseas (HVO)—a Washington, DC-based nonprofit dedicated to supporting the global health workforce through education and professional development opportunities—also works closely with partners in resource-scarce countries to strengthen local health systems. HVO partners with more than 80 health institutions across the globe. 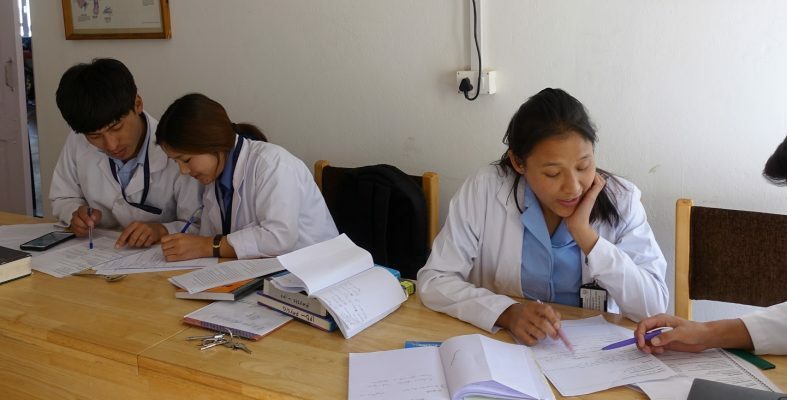 These collaborating institutions identify training needs specific to local health workers and the communities they serve, and HVO recruits health professionals to address these needs through education, mentoring, and professional support during short-term volunteer assignments. The result is a mutually beneficial collaboration that leverages the expertise of both HVO volunteers and local partners to produce significant advances in health workforce capacity. This result is exemplified by the experience of long-time HVO member and global health volunteer Alfred Scherzer, MD, EdD. 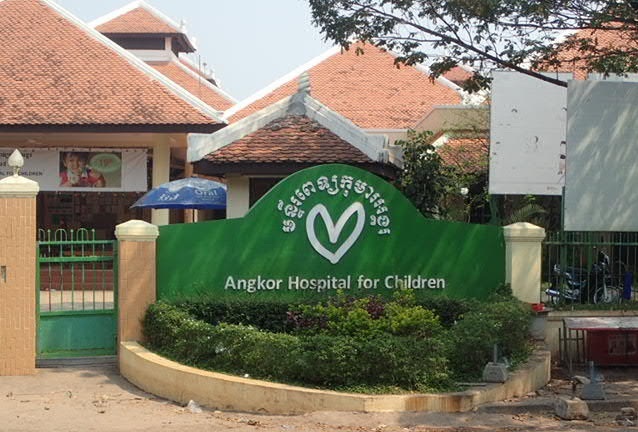 When Dr. Scherzer traveled to HVO collaborating institution Angkor Hospital for Children (AHC) in Siem Reap, Cambodia, he encountered a growing demand for training in his specialty area, developmental pediatrics. Angkor Hospital for Children, Siem Reap, Cambodia. Photo courtesy of Mark Duster, MD. “The hospital is increasingly achieving its objective of saving lives. Like so many other places in South East Asia and Africa, in particular, children are indeed surviving as never before. And there is an increasing and new population of survivors with significant developmental deficits and needs,” reported Dr. Scherzer following his fifth visit to AHC. To identify this patient population, physicians at AHC sought to create a checklist of developmental milestones to incorporate into children’s medical charts. Dr. Scherzer provided valuable input at the start of this project, sharing existing tools such as the Denver Developmental Screening Test II (DDST II), and collaborating with several AHC colleagues to create and test a pilot checklist. AHC Medical Director Dr. Chanphaektra Ngoun (Dr. Phaektra) built upon this foundation, adding his own medical expertise and knowledge of local languages, cultural norms, and environmental health hazards to create a Cambodia-specific screening tool, which a pilot study showed to be more culturally appropriate than the DDST II and other non-local measures. The collaboration between Drs. Scherzer and Phaektra is just one example of how strong and equitable international partnerships are needed to advance global health workforce and research capacity. The HVO model and the ACE project are effective because input from local partners guides the distribution of funding, the allocation of resources, and the type of training received. Local stakeholders must be engaged and their expertise must be utilized to strengthen under-resourced health systems and achieve universal health coverage.